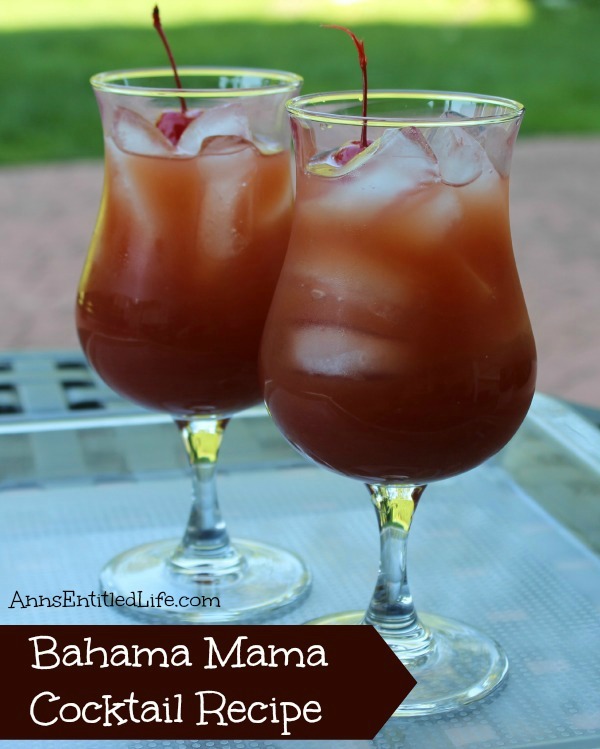 Made with three different rums, coffee liquor and fruit juice, this Bahama Mama cocktail is a fun and refreshing drink! • Combine all ingredients in the order listed above in a cocktail pitcher, except the maraschino cherry. • Fill a hurricane or tall glass with ice. 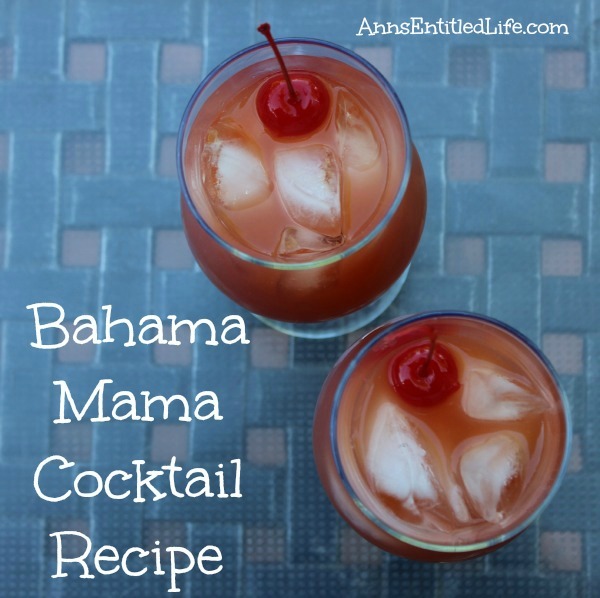 • Pour Bahama Mama Cocktail over ice in glass. • Garnish with a maraschino cherry. 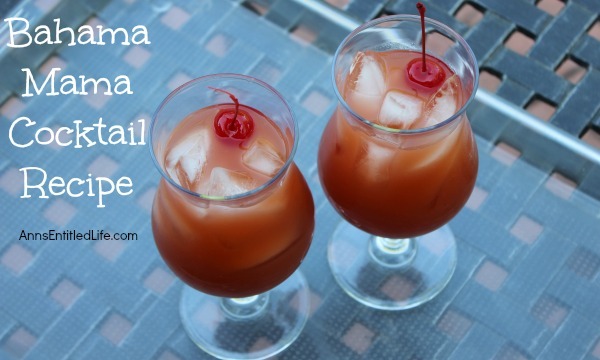 The Bahama Mama! I had been talking about making these for weeks now, and Hubby was really on board with that idea. It got to the point when he started asking me when I was going to make them – seems he was looking forward to having a Bahama Mama Cocktail as much as I was. Smooth and delicious, these go down easy. When you are mixing them up in your cocktail pitcher, they look terrible. They are so dark you will be certain did something wrong putting the recipe together. 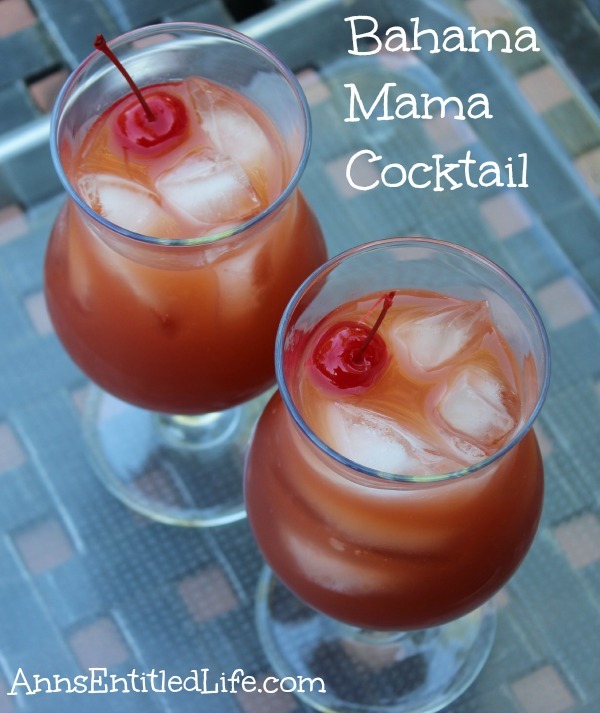 Poured over ice, the Bahama Mama will lighten up a lot in the glass. As the ice melts, these become lighter and lighter. However, they taste best if not water diluted. Is coffee liquor the same thing as Kahlua? Kahlua will work just fine, Sara!